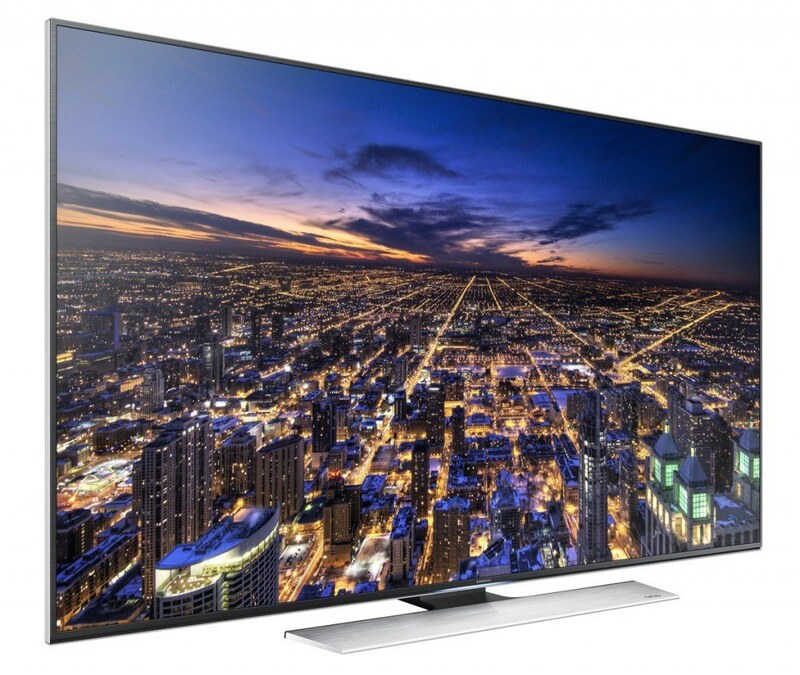 4K Ultra HDTV’s are steadily growing in popularity. Sales are also on the rise; thanks in part to falling prices and consumer awareness. Native 4K content, however, is still very limited (see here for more info). 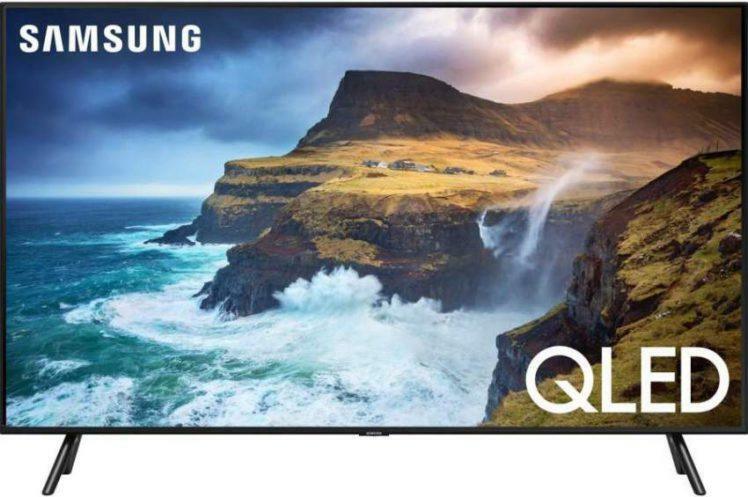 If you are planning to purchase an Ultra HD TV in the near future, but don’t have access to 4K UHD content, you can still enjoy the benefits of owning a set with this increased video resolution capability. The benefit I’m referring to is the video upscaling process in these sets. All Ultra HD TV’s will upscale non-native 4K video signals to near actual 4K quality. And depending on the quality and design of the sets video processing , the results can yield a notable increase in picture quality. Samsung’s UN55HU8550 is one such display that has excellent upscaling capability and is the topic of this review. The UN55HU8550 incorporates an attractive design which is typical of many premium model displays. The black brushed metal bezel is very thin with an even thinner strip of silver metal trim around the outside borders of the set. The stand on this set is really impressive – it features a “T-shape” design which anchors to the back of the display and extends several inches beyond the front of the set. It silver low profile design adds to the sets already modern appearance. I gave this display my typical stability test by gently rocking the TV back and forth at the top of the panel. The results proved that this stand design is extremely stable and will prevent this set from encountering an accidental TV tip-over. The UN55HU8550 features Samsung’s best edge-lit dimming technology. This hardware based local dimming design keeps blacks deep and dark across the entire screen, and allows for bright objects to be presented against a black background with a minimal amount of what is called the halo effect. I will talk more about this sets black level capabilities in the performance section of this review. The HU8550 is HDMI 2.0 compliant for increased bandwidth, higher picture resolutions and frame rates up to 60fps. This set also contains HEVC/H.265 decoding for streaming 4K video content from services such as Netflix. Samsung’s Smart Hub smart TV platform is one of the best available. Its easy to use intuitive interface brings you a host of apps for video and music content. This set also contains Wi-Fi functionality and a full web browser for access to the internet. The HU8550 has 3D capability and includes 4 pairs of active 3D glasses. 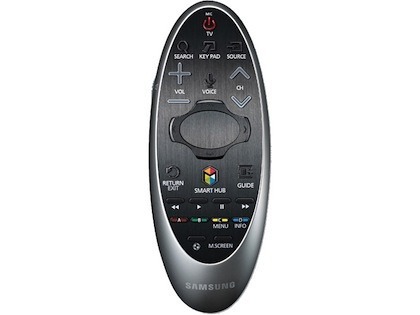 The HU8550 comes with two remote controls: your typical standard style wand and a small oval shaped touch-pad remote. The sets voice recognition feature allows you to control certain functions of the TV with the sound of your voice. This feature is accessed using the touch-pad remote. In my opinion, the most important attribute an HDTV is its picture performance. And the UN55HU8550 does a superb job in this respect. And generally speaking, I was thoroughly impressed with the overall performance of this excellent TV. Color reproduction on this display was at its finest. Colors were very accurate and well saturated with a rich vibrancy that rendered colors in a natural and very life-like manner. The picture image was very sharp and produced crystal clear detail, with excellent image depth. For example; on one particular scene of the 4K demo content I viewed, contained people walking far in the background of the shot. Although the individuals appeared very small in the image, I could still see and make out the fine detail in their apparel including their shoes. Excellent image performance. The ability of this set to produce excellent contrast was readily apparent; in a scene of a person fishing on the shore of a lake, the foreground area of the shot was highlighted with bright sunlight and showed excellent detail and clarity, where as the background area of the shot didn’t contain any sunlight, and portrayed deep blacks with very good shadow detail . The difference between the peak whites vs. the dark blacks in this scene and how they were rendered together – perfectly, shows this sets awesome contrast capability. The deep black levels I experienced above were made possible by the use of Samsung’s Precision Black Local Dimming feature. This technology effectively dims LEDs behind the darkest area of the picture for greater contrast and darker blacks, while the brighter areas of the image remain as bright as they should be. For example, one of my favorite test for evaluating black level and contrast performance is viewing white text overlaid on a solid black background. On the HU8550, this test proved to be excellent. Blacks were very deep and dark for and LED TV and the text was a very pure and bright white. This also allowed me to see this sets picture uniformity which showed good performance. Side angle viewing on this display was good by LED standards. I experienced only minimal picture dimming at a 45 degree angle and wider. Samsung’s UN55HU8550 is one of the best 4K Ultra HD TVs I have had the pleasure of viewing. Its overall picture quality including its color accuracy and black level performance are first rate, along with its very natural and realistic image quality. The set has excellent 4K upscaling allowing you to view your 1080p blu-ray disc collection and other standard HD content at near 4K quality. Among all of the 4K UHD sets I’ve reviewed, only the Sony XBR-950B and XBR-900B has delivered better picture quality in my experience and opinion. This is very high praise for the UN55HU8550, considering the fact this TV rivals the performance of the Sony TV’s mentioned above at a substantially lower price. Highly recommended. •	With stand: 46.5 lbs. •	Without stand: 39.2 lbs. 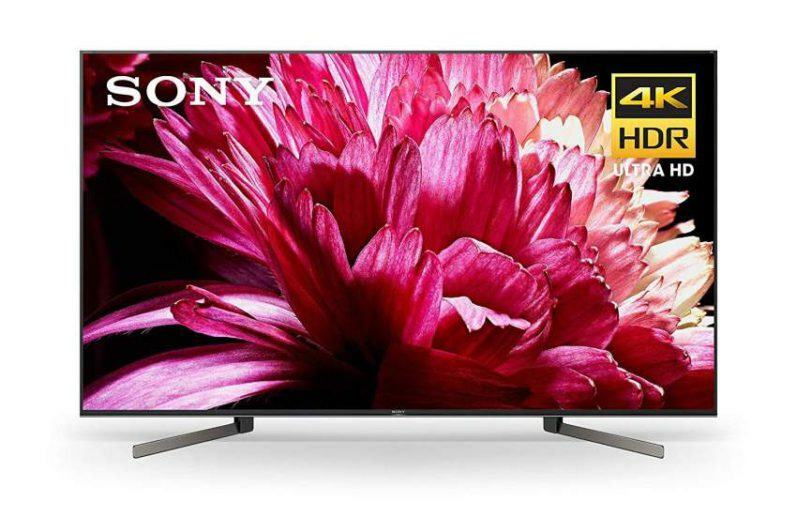 You may also like these 4K UHD TV reviews… LG 79UB9800, Sony XBR-55X850B and Vizio P652ui-B2. I was reading about this on Poc not too long ago in my news app. It seemed like a good option if I can find it locally. I wound up finding it in the store and thought the picture was pretty good. It is pretty nice to watch a lot of anime on it. The colors are wonderful, but there aren’t any 4K anime series yet. Instead it is all “up sampled” or whatever. It is still cool though as it looks better than the 1080 TV. I am sure the colors would be wonderful. 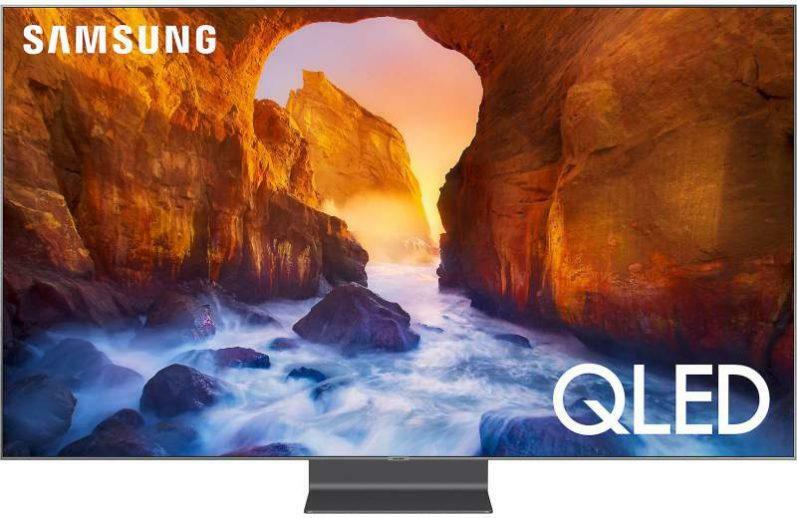 The Samsung UNHU8550 is very good performing 4K UHD TV in my opinion and experience and is an excellent choice if you are considering this TV. And yes, there is not a lot of 4K content available at this time, in particular animation. But this is already in the process of change as more 4K content will be introduced this year. The Samsung UNHU8550 has two major flaws. It will not accept a PC signal through any of the HDMI inputs. The was tried on two different units without success. Additionally, the USB inputs will not upscale jpegs with sizes less than 4K to fill the screen. Samsung support has not offered any remedy to either of these two issues. Has anyone else experienced these problems? HavaCow, thanks for the info. Hopefully, any owners of this TV will provide additional info on this issue.